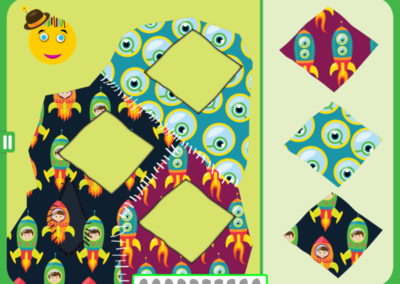 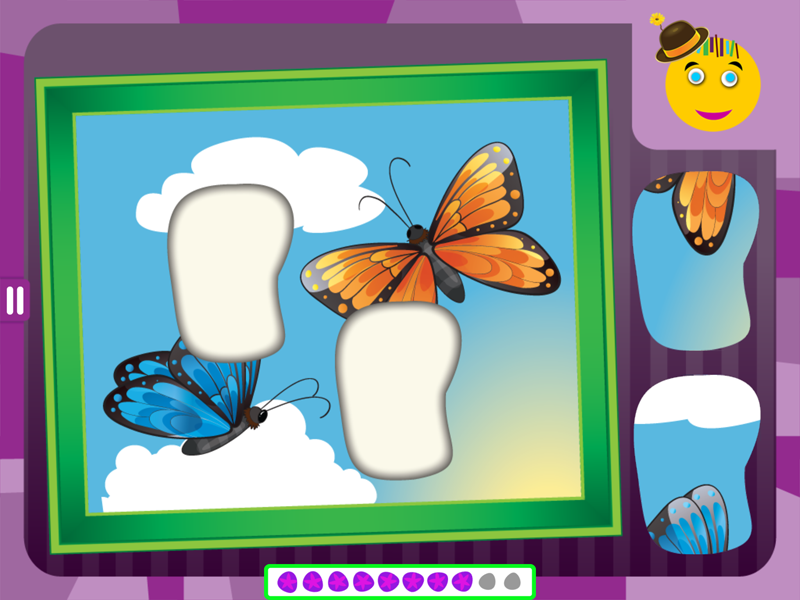 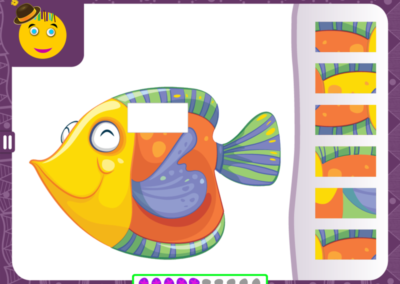 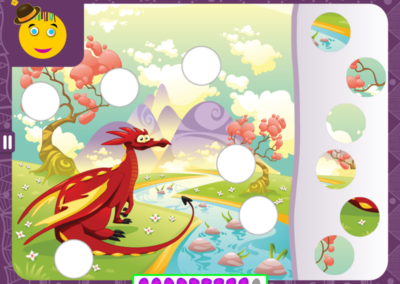 In the Patches game, a child matches cutout pieces with their correct location within a larger image. 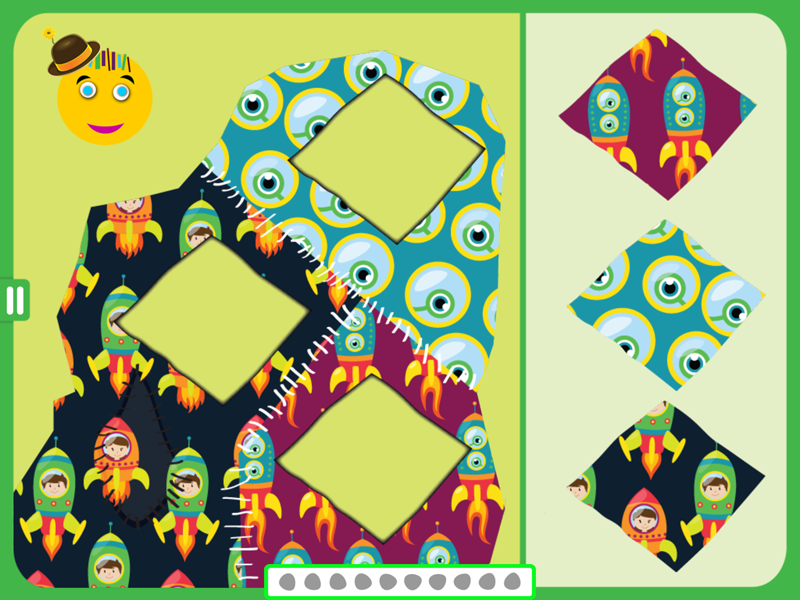 While the Outlines game requires a child to attend to differences in shape, the Patches game requires attending to differences in color and pattern. 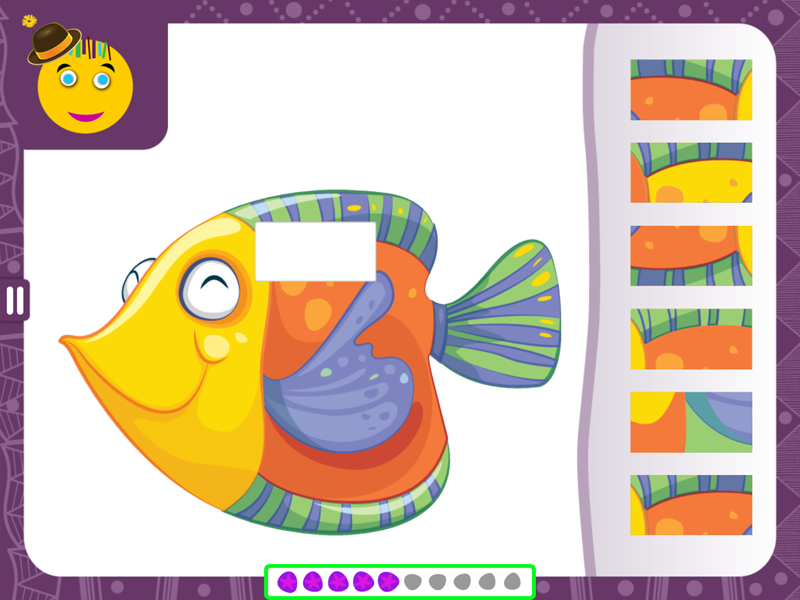 Together, these two beginner-level games lay the foundation for more advanced games in which a child must notice shapes, colors AND other features of an object, such as size, orientation and number.